HOUSTON (CN) — Texas executes more people than any state, but a U.S. Supreme Court ruling this week that spared the life of a mentally disabled Texan and proposed legal reforms are forcing it to confront its fondness for capital punishment. Under the Texas law of parties each person involved in a crime can be charged and convicted for it, no matter if they were an accomplice or the perpetrator. The law came up in the capital murder trial of Erica Yvonne Sheppard, who was sentenced to death in March 1995. The jury heard evidence that Sheppard, then 19, and co-defendant James Dickerson, snuck inside Marilyn Sage Meagher’s apartment in June 1993, intending to steal Meagher’s car keys. Meagher refused to give up the keys and Dickerson told Sheppard to find a butcher knife. She did, and held Meagher down while Dickerson cut her five times, then bashed her with a 10-pound statue. Trying to get her sentence reduced to life in prison, Sheppard, now 43, argued in a federal habeas petition that her trial attorney erred by not objecting when the judge, in explaining the law of parties, incorrectly told jurors that a bank robber and getaway driver would both be guilty of robbery and each should get the same punishment. U.S. District Judge Nancy Atlas agreed in a March 29 order denying Sheppard’s habeas petition that Sheppard’s trial judge got it wrong. Atlas cited Earl Enmund v. Florida, in which the U.S. Supreme Court ruled in 1982 that the Eighth Amendment prohibition of cruel and unusual punishment did not permit the death penalty for Enmund because he was the getaway driver for two people who robbed and murdered an elderly couple, but he did not kill nor intend to kill the couple. But Atlas found Sheppard’s culpability sufficient to hold her responsible for the murder, even if the trial judge misled the jury. “The evidence establishes that Sheppard was an active, not merely peripheral, participant in the robbery and murder. Therefore, the trial court’s erroneous statement as to punishment on the law of parties was not relevant to Sheppard,” Atlas wrote. Texas State Reps. Terry Canales, D-Edinburg, and Harold Dutton Jr., D-Houston, have introduced legislation that would change the law of parties, banning prosecutors from pursuing the death penalty for accomplices in capital felony cases who were not directly involved in the crime. A bill proposed by state Rep. Eddie Lucio, D-Brownsville, would undo another capital punishment law that favors prosecutors. In Texas death-penalty cases, a jury must answer three questions: Is the defendant a continuing threat to society? If the defendant was not the actual killer, did he or she intend to kill someone or anticipate death? Is there mitigating evidence in their background, character, or in the circumstances of the crime, sufficient to spare their life? To sentence a defendant to death, a jury must unanimously answer yes to the future threat and intent to kill questions and no to the mitigating evidence question. State law also says that 10 or more jurors must agree to answer the special questions in the defendant’s favor to give them a life sentence. Critics say that text is misleading at best, at worst a flat-out lie, because defendants must be given a life sentence if one juror decides they don’t deserve to be executed, but there’s a catch: Judges and attorneys can’t tell jurors that under state law. Lucio’s SB 1065 would benefit defense attorneys because it would remove the bar against judges and attorneys telling jurors that one of them can prevent a death penalty, and nix the de facto rule that 10 or more jurors have to agree on one of the special questions to recommend a life sentence. Lucio told the Texas Tribune he filed the bill after religious groups told him about the mandatory jury instructions. “I was shocked to learn that the instructions in place actually lie to jurors who are tasked with quite literally making a life or death decision,” Lucio told the Tribune. The U.S. Supreme Court undercut Texas’ willingness to execute mentally deficient prisoners this week when it blocked the execution of Bobby James Moore, a 57-year-old African-American who has been on death row since his July 1980 sentence for fatally shooting a grocery store clerk with a shotgun during a botched robbery in April that year. Experts have testified that at age 13, Moore could not differentiate the days of the week, tell time or understand that addition is the opposite of subtraction. The Texas Court of Criminal Appeals upheld Moore’s death penalty, ruling that habeas cases need only consider rules it adopted in 2004 to guide lower courts in assessing intellectual disability. The order that established the test cited Lennie, the mentally disabled fictional character from John Steinbeck’s novel “Of Mice and Men,” who accidentally kills a woman by breaking her neck, and as a lynch party descends on him, is shot in the back of the head by his best friend. “Most Texas citizens might agree that Steinbeck’s Lennie should, by virtue of his lack of reasoning ability and adaptive skills, be exempt from execution,” former Court of Criminal Appeals Judge Cathy Cochran wrote. The Supreme Court rejected the Briseno test 5-3 Tuesday. Justice Ruth Bader Ginsburg said in the majority opinion that Briseno factors “create an unacceptable risk that persons with intellectual disability will be executed,” and that Texas must adopt standards to measure the mental ability of death row inmates that is informed by medical experts. It’s the second time this year the Supreme Court has rebuffed Texas’ efforts to execute a person. In February, the court ordered the Fifth Circuit to hold a habeas hearing for Duane Buck because a psychiatrist told jurors during Buck’s capital murder trial that Buck is more likely to be a danger because he is black. Robert Dunham is executive director of the Death Penalty Information Center, a Washington, D.C.-based nonprofit clearinghouse for studies and statistics on capital punishment. While the Supreme Court ruling in Buck will not affect other Texas death row prisoners, because Buck is the only one Texas is trying to execute based on a psychiatrist’s racist views, its Moore holding has broad implications, Dunham said. “Several death row prisoners have already been executed in Texas because of the Briseno factors,” Dunham wrote in an email. 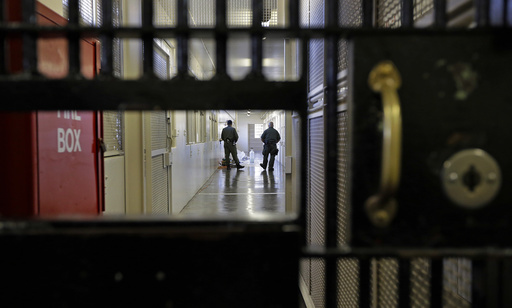 Capital punishment is waning in the United States. A December 2016 report from the Death Penalty Information Center found that juries issued 30 death sentences in 2016, down from 315 in 1996. Twenty people were executed in the United States in 2016, the fewest since 1991. A 2016 Pew Research study found that 49 percent of Americans support the death penalty, the lowest percentage in four decades. Dunham said the Supreme Court’s Buck and Moore rulings will further reduce the death penalty, but not do away with it. Four of the six prisoners executed so far this year were in Texas. Twenty-one more are scheduled to be killed this year, five in Texas. Arkansas is taking heat for its plans to execute eight men from April 17 to April 27, a schedule state officials say is needed because its stock of one of three drugs it uses in its execution cocktail, the sedative midazolam, expires at the end of April. Arkansas media outlets reported last week that its Department of Corrections director was having trouble recruiting enough witnesses for the eight executions, because of a rule that at least six people watch them, to ensure they comply with state law. The Arkansas DOC did not respond Thursday when asked if it had found enough witnesses for the April executions.